I am sending the tapes today. I finally got them together. In there is “Our Daughter’s Graduation 1994, Dawn’s Graduation”. Please make 2 copies of that one; the rest just 1 copy. THANKS JILL. YOU are just wonderful. THANKS for the wonderful service. Let me know when they arrive. I WILL ship priority. – M.B. 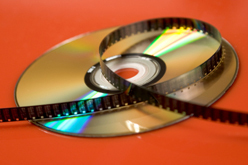 It is simple and affordable to transfer your old films and tapes to CD or DVD. 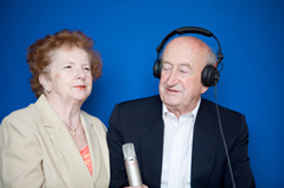 You can preserve those unforgettable memories or family histories for future generations. We can also edit your film to get it in chronological order, and even add music and titles. Are you a business, church or not-for-profit group with your own instructional materials and/or promotional materials still on old media? 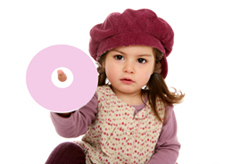 We can convert your very valuable resources to CDs and DVDs so that your legacy continues for future generations to come. We can also duplicate or replicate them and professionally package them in a jewel case or DVD box. Refer to the chart below for figuring out the footage and running time of your film reels. Narrating those old silent home movies can preserve memories for generations to come. Your grandchildren and great-grandchildren will know that man in the movie was sweet old Uncle Bob who loved bass fishing and playing the ukulele. We’ll record your narration as the film plays. So, pop up the popcorn and come on in while the memories are still fresh. We charge $30 per tape transferred (with a $30 minimum). We have a sliding scale for larger quantities. Call us for details. Copies of your DVD are $10 per copy. For an additional charge, we can also add music & titles to your DVD -- just ask us about it! We also do video cassette tape repair for $15 per repair. If a new casing is required the cost is $20. Copies of your CD are $10 per copy. 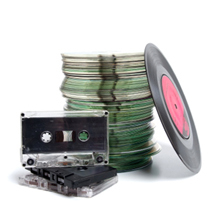 We also do audio cassette tape repair for $15 per repair. If a new casing is required the cost is $20.